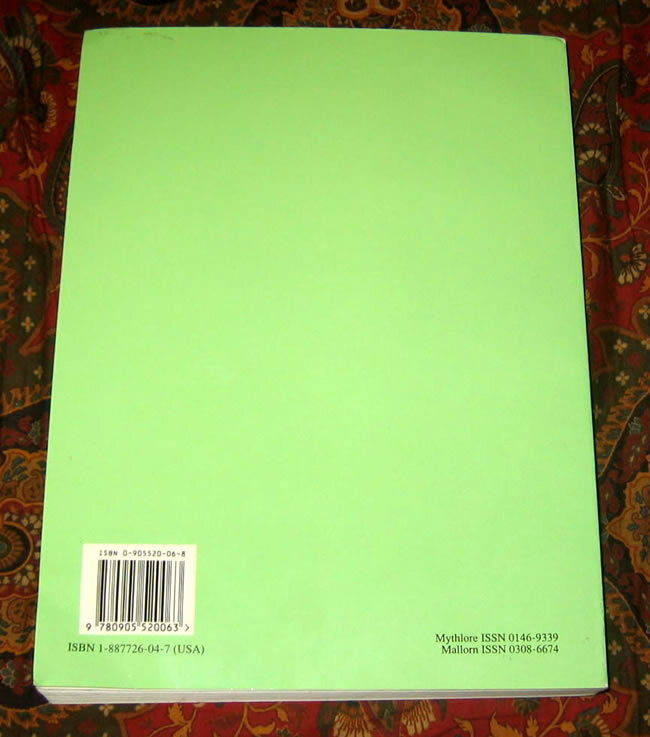 #000434 - Proceedings of the J.R.R. 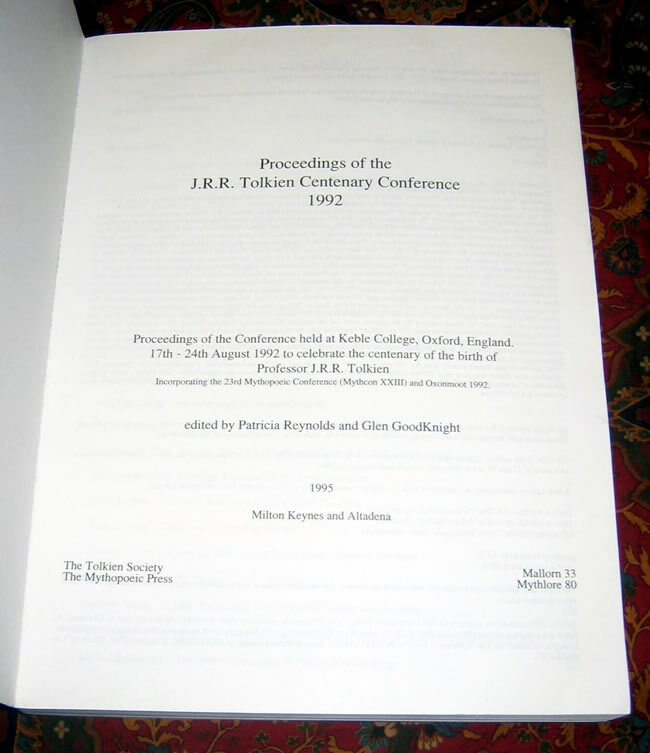 Tolkien Centenary Conference 1992 - Eleven themed sections contain papers which address all aspects of J.R.R. Tolkien's life and work. With a comprehensive index, it includes 9 black and white photographs and 43 other black and white illustrations, diagrams and maps. 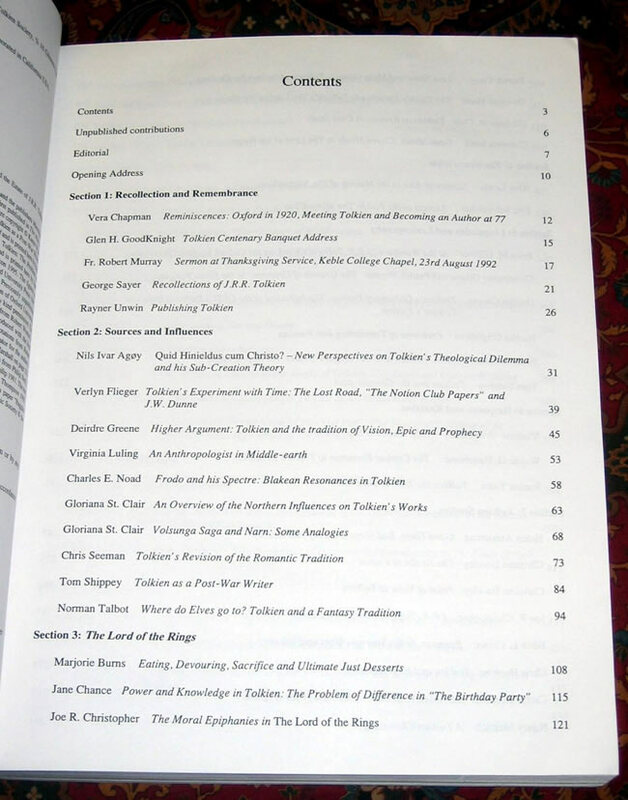 Eleven themed sections contain papers which address all aspects of J.R.R. 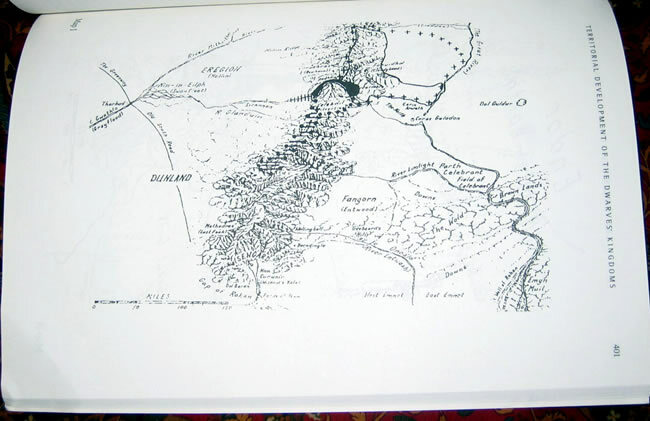 Tolkien's life and work. With a comprehensive index, it includes 9 black and white photographs and 43 other black and white illustrations, diagrams and maps. Proceedings of the J.R.R. Tolkien Centenary Conference. The J.R.R. Tolkien Centenary Conference was held at Keble College, Oxford, England, from August 17-24, 1992, to celebrate the centenary of the birth of Professor J.R.R. Tolkien. The conference was co-sponsored by the British Tolkien Society and the Mythopoeic Society, and incorporated the annual conferences (Mythcon XXIII and Oxonmoot 1992) usually held separately by these organizations. 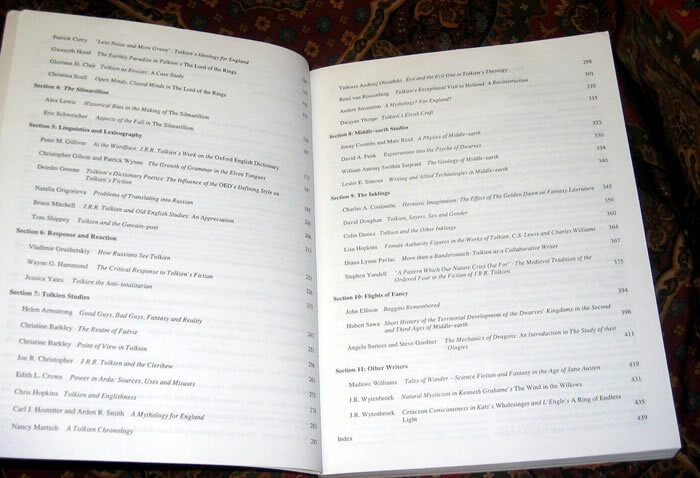 Proceedings of the J.R.R. 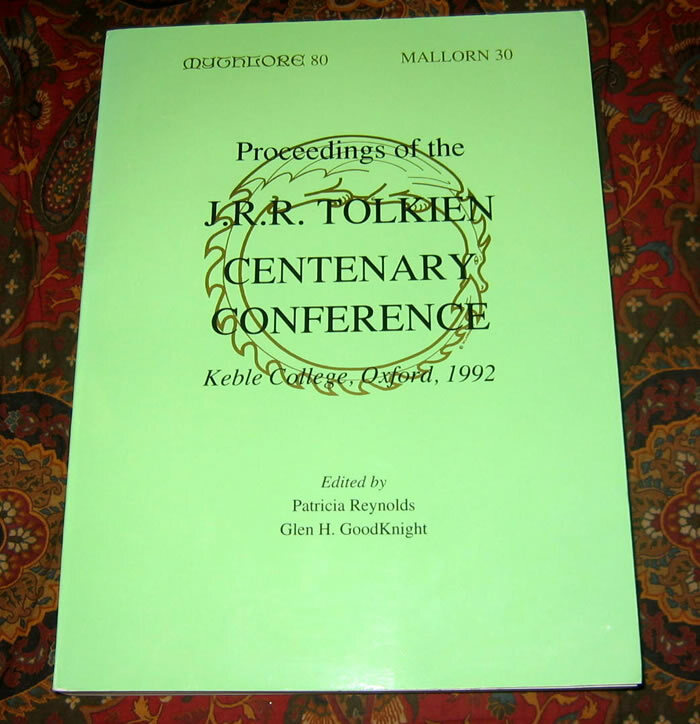 Tolkien Centenary Conference 1992 (Mythlore 80 / Mallorn 30) edited by Patricia Reynolds and Glen H. GoodKnight. This copy is in clean Very Good Plus condition. Only fault, lower front right corner has been bumped.